The Selecta Group is a world leading breeder, producer and marketer of vegetatively propagated ornamental plants. Our breeding activities comprise the areas of bedding and balcony plants, poinsettias, perennials and cut flowers. With 7 locations in Europe and Africa, we are able to serve each significant market throughout the world. 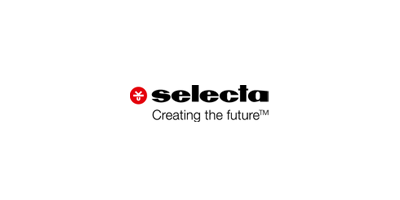 Selecta: What do we stand for and how did we get started as a company? This short but apt phrase is exactly what Selecta stands for: Afamily businessthat is aware of its tradition and therefore possesses obligatory values that act as the basis and foundation of its actions. We live today, but it is preparing for tomorrow that will secure our future. We consider it our duty to support our customers throughinnovationsin both product and marketing areas, thus actively accompanying the developments in the horticulture industry. Sustainabilitywhen dealing with our customers, our employees and our environment is a high priority for us. Sustainability andquality: These are two important aspects that depend on each other. Quality in both the product and the process are prerequisites that allow successful developments towards the future to be perpetuated by means of the connection between past tradition and the present. The creation of our future also requirestrustworthyactions when working together. We are aware of our specialresponsibilitytowards our customers and are proud and grateful for our business relationships that have continued to exist over decades.